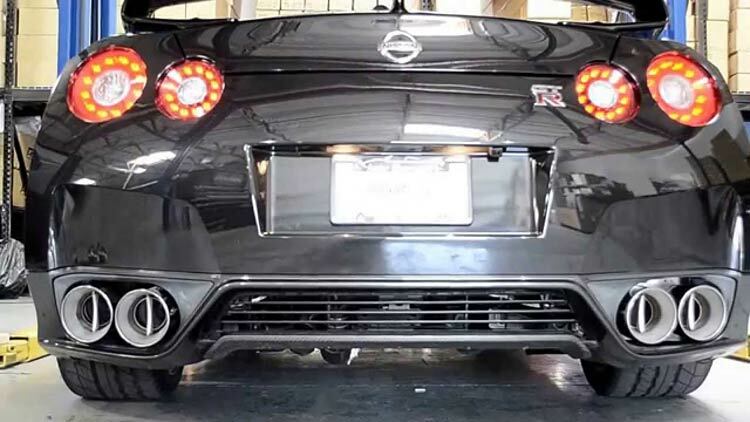 We list and review the most popular Nissan R35 GT-R exhaust systems on the market to help you choose which one is best for your needs. 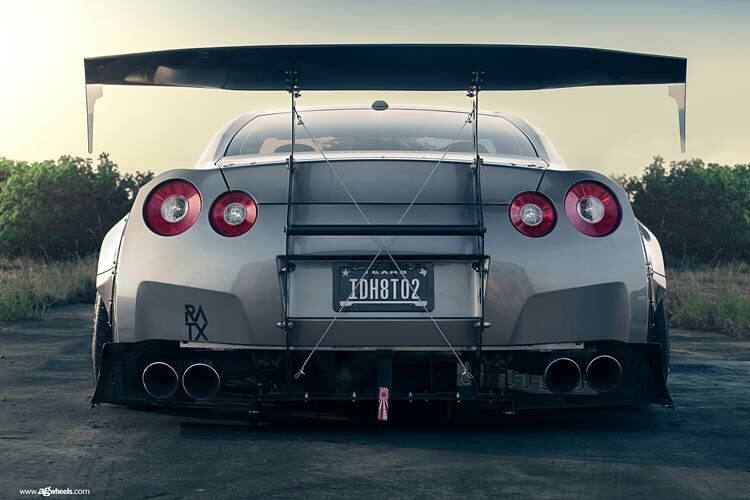 This is the ultimate GT-R exhaust guide. After waiting for almost forty years, 2008 flipped the US car scene on its head. Before then, the GT-R was simply a distant Japanese legend which was unavailable in the States. Suddenly, an all-wheel drive, all-wheel steering beast with a twin-turbocharged straight six which would simply be known as ‘Godzilla’ arrived, and it was here to change the game. As they began to roll into the country, they took the market by storm. Anyone lucky enough to get behind the wheel was blown away by the combination of technology and sheer power which immediately made it arguably the best car you’re able to get for the money. It was certainly worlds apart from the first generation Hakosuka which first blew away the Japanese in 1969, and perhaps a little too ‘digital’ for some of the purists, but no-one could question its sheer performance ability. Combining killer looks with incredible speeds and a roaring powerplant under the hood, it quickly became a dream car for many. The V6 VR38DETT is an absolute animal, and with Nissan producing 565 horsepower from the factory on the Nismo edition, tuners would soon laugh at those figures as it began winning drag races around the world with companies achieving eye-watering dyno numbers. We know it’s not drifting, but you have to check out this absolutely ridiculous video as they hit 3,500hp! These crazy builds are obviously far from stock and obviously not your daily driven road setup. However, the VR36 is always generous when it comes to squeezing out some extra horses, and simply be freeing up the restrictive airflow which Nissan was forced to implement from the factory, you can hear Godzilla roar. Bolt-on modifications are always a great place to start. 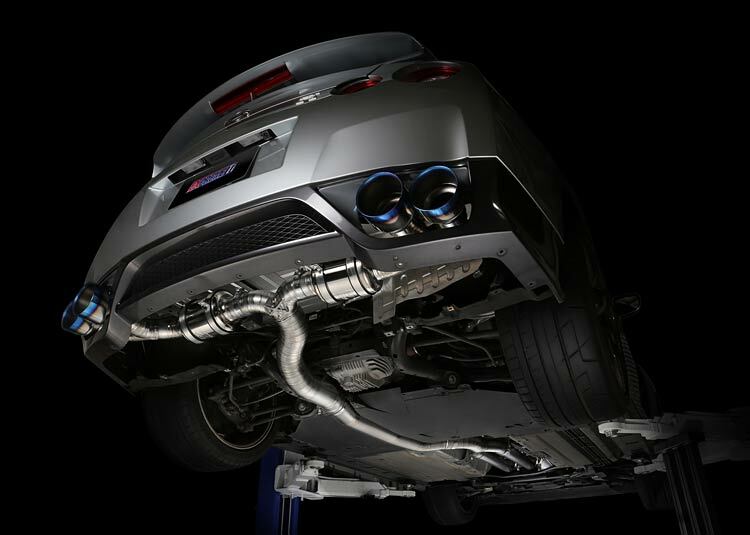 An exhaust can offer you huge weight savings along with a much-improved sound and performance gains, so it’s easy to see why it tops the list of modifications for so many. This was one of our hardest guides to date, as the GT-R market really is one of the best out there and we were continually blown away by the photos and videos. 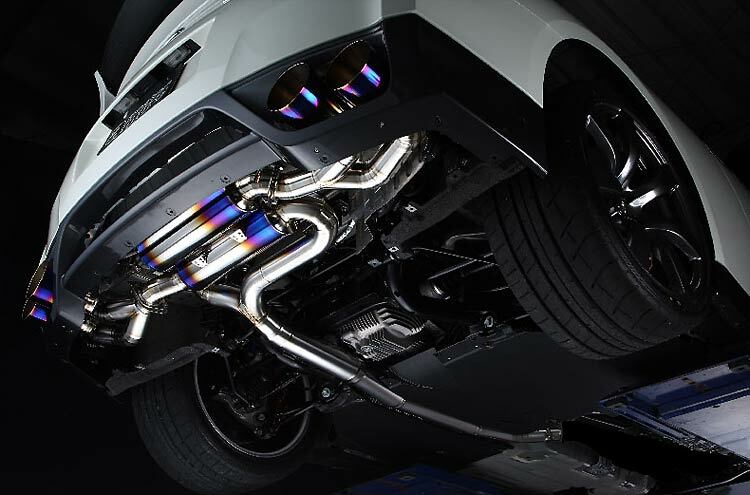 We’ve narrowed down some of the favorite exhaust systems provided by owners to help you select the perfect system. Whether you’re looking for a roaring beast or a unique exotic sound, this guide has it all. Try not to drool as we give you a small taste of what’s to come with this video showing some of the most popular competitors. 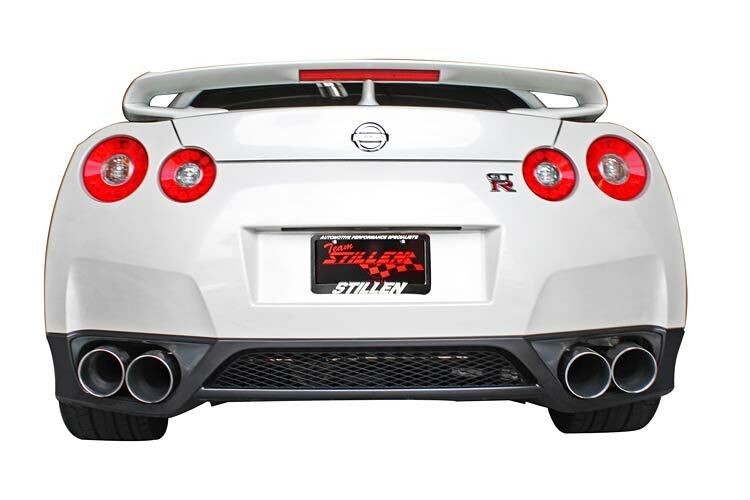 Now that you know what you’re looking for, let’s take a look at our Nissan R35 GTR exhaust selection! 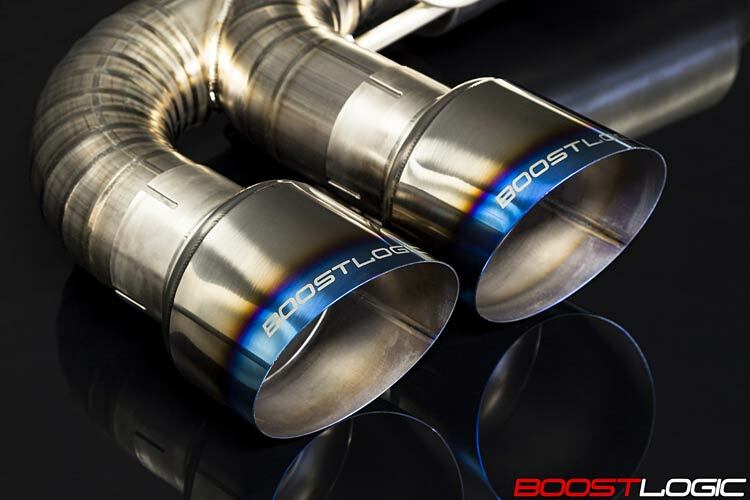 Our comment: We kick off our list in style with what we believe is quite possibly the best sounding exhaust for the GTR, it’s absolutely incredible. Combine that with Amuse’s typically meticulous Japanese attention to detail and on top of that, it’s one of the lightest options on the market. We appreciate that it’s not within everyone’s price range, and it certainly isn’t cheap, however, with the titanium weighing in at just 8.9kg, with incredible looks and sounds, it definitely deserves consideration. Our comment: Another highly regarded titanium option from Agency Power. 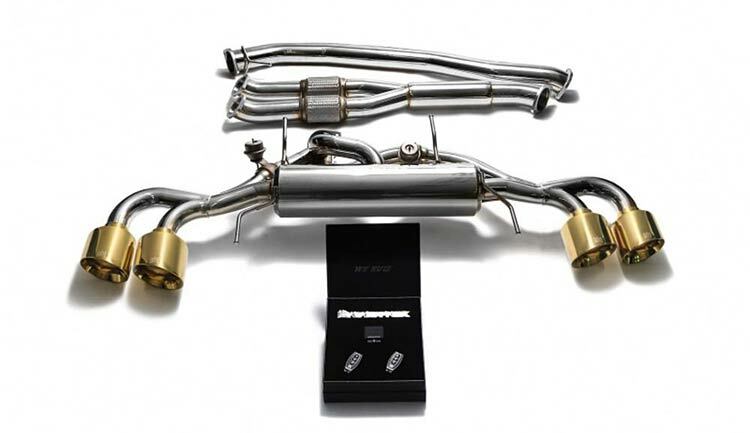 At almost $2,000 less than the Powerhouse Amuse, it’s still not cheap, but for a full titanium exhaust which weighs just 6.3lbs it’s certainly good value for money! 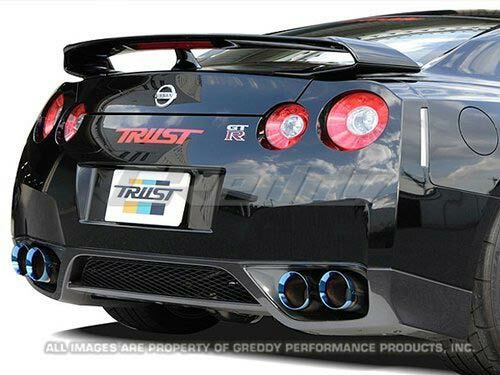 This will provide your GTR with a fantastic exotic sound, which we love. It’s definitely good value for money if you’re sold on titanium. Make sure you check out the video below to hear it pushed hard on the dyno! 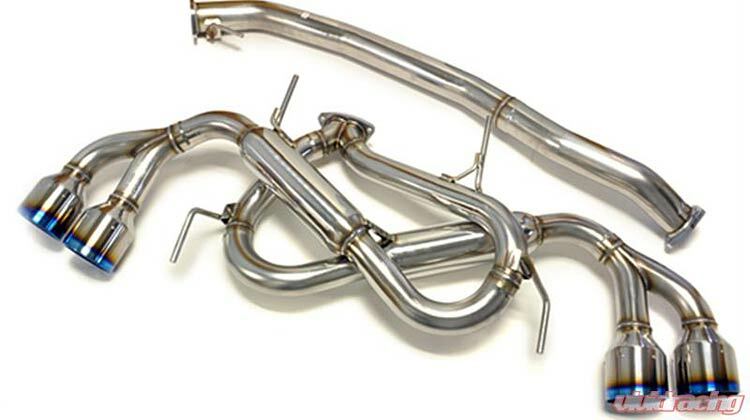 Our comment: Meisterschaft has several choices in their exhaust range, which you can find here. We decided to review the titanium so that you can compare with the previous offerings. As you’ve probably guessed, it’s another stunning example! However, these exhausts are notorious for being extremely loud and obnoxious, to the extent that most people couldn’t deal with it on a daily basis. If you can deal with the volume, it sounds absolutely amazing. If this is what you’re wanting in an exhaust, there are fewer better options out there. If you like the Meisterschaft but you’re looking for a cheaper alternative, they have various stainless steel offerings too. Our comment: In our past guides, STILLEN have often been met with mixed reviews, and unfortunately their GTR option seems to have fallen to the same fate. Although it’s cheaper than most alternatives, owners have reported drone in the lower RPM range with a lack of aggression in the upper range. The welding qualities are also said to be lower than some of the competitors, but this is typically where you get what you pay for. That being said, it’s still highly regarded by a lot of owners and could suit your needs. Our comment: It’s the most expensive in our guide so far, but it’s also regarded as being up there with the best by many delighted owners. Featuring a free-flowing 90mm diameter, it is then met with rarely seen mandrel bent pipes to ensure maximum airflow. This is definitely a fantastic design in a lightweight package with beautiful craftsmanship. There’s no doubt that it sounds incredible as it shifts through the gears. Undoubtedly a strong contender for the podium! Our comment: There’s certainly no question that this setup is a work of art! With a 4″ straight through diameter, it’s also one of the highest flowing exhausts in our guide, which is great for those of you looking to achieve big power. These feature boost activated valves which remain closed under 7psi for quiet cruising and idling without excess back pressure. Once you go past 7psi, it unleashes a whole different beast and sounds intoxicating on full chat! Many owners have run these for impressive lengths of time with nothing but praise for their Quadzilla exhausts. Our comment: GReddy is the first tuning house to cross the $5k mark in our guide, but this hasn’t held many owners back with going for this stunning-looking GReddy system. 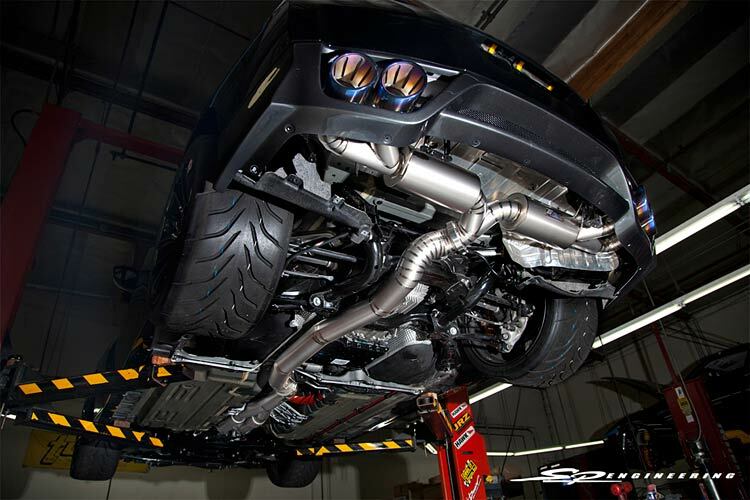 They’ve stood the test of time and still remain as one of the best aftermarket parts specialists in the world, and this exhaust is a testament to that. Unsurprisingly, this is one of the most popular offerings and many owners will happily argue that it’s another one of the best sounding exhausts on the market. Perfect for those who are looking to go for big power and don’t mind it being on the louder side. Our comment: You don’t need to look far to see just how popular this performance-orientated exhaust is among owners and 1,000hp demo cars alike. With a 102mm center-pipe it allows for maximum flow and once again, the sound is absolutely insane. Being one of the higher-flowing pipes, you can expect it to be quite loud, so if you’re after a quieter exhaust this probably isn’t for you, and we’d recommend looking at their street alternative instead. Our comment: We’ve reviewed a lot of titanium systems, and fear not because Armytrix also have their own Titanium option, however, we saw these gold tips and wanted to add something a little different into the mix. Armytrix includes stylish remotes and a bluetooth app with their kit, which enables you to open or close the valves using hydraulic actuators. This enables you to have it open, closed or automatically open at a set RPM level. We love this idea! On top of that, Armytrix’s fantastic quality and unique appeal combined with insane sound and power gains really do make this one of the best options out there. They also have multiple variations depending on what suits your needs, you can view their full range here. Our comment: We’ve opted to review the extremely reasonably priced HKS Legamax this time around, but fear not, they have a titanium option too! This option is for those of you that are wanting improved looks and sound without terrifying the neighborhood every time you go for a drive. With a mere 1db sound increase at idle, it then opens up as it roars its way through the rev range. If you’re not looking to splash the cash compared to some on our guide and want a better looking and sounding exhaust which has far improved airflow over stock, the Legamax is a fantastic option. On the other hand, if you’re looking for something nuts and completely different, take a look at their unique 3SX muffler! Our comment: We head back to the titanium options as Akrapovic bring their stunning offering to the market. Once again, many delighted owners claim that this is the best option for your GTR, but it is undoubtedly one of the most expensive in our list, so we’d hope so! This lightweight, free-flowing, work-of-art from Akrapovic makes your decision even harder. It’s definitely one of the louder exhausts, so if volume is an issue you may want to look at the quieter options. Press play in the video to take a listen and see if this is the ideal choice for you, we absolutely love it! 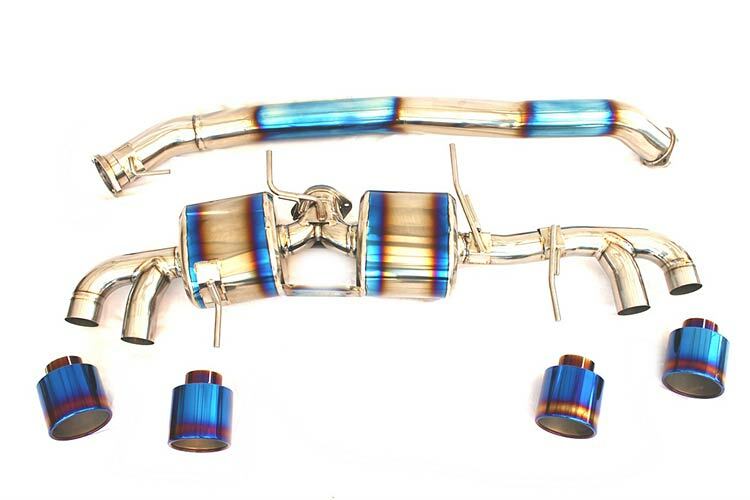 Our comment: Tomei bring you the cheapest titanium exhaust in our guide, but they definitely haven’t sacrificed quality! These are hand-made in Japan and fit with the typical precision you would expect from the Japanese legends. It’s certainly not the quietest, but these high-flowing exhausts are always on the loud side. This is most definitely the best bang-for-your-buck if you’re on a lower budget but looking for an awesome titanium exhaust for your R35. Well, this has undoubtedly been one of the most challenging guides we’ve done to date. With so many ridiculously impressive exhausts out there on the market, it’s almost impossible to choose! If we have to decide a single winner, we’re going to opt for the Powerhouse Amuse R Titan Extra. We love the look and the absolutely intoxicating sounds that this system produces. Amuse have knocked it out the park time and time again in our guides, and we feel they’re the worthy winners again this time around. Our other favorites were the Titek and GTC exhausts, but there is so much selection in our guide that you really can’t go wrong with any of these. If we’re talking bang for your buck, it’s hard to compete with Tomei. At just $3,240, you get a perfect quality full titanium setup which is an absolute pleasure to listen to. For those of you looking to run huge power setups, make sure you check out some of the highest-diameter offerings, they’ll provide you with the best flow, but be prepared to be the center of attention! If you’re looking for a quiet setup, the HKS Legamax ticks the right boxes at an affordable price point.